He’s faster than the normal beachcomber. He’s got powerful Xray vision to see through water ripples. He can leap wide sand bars at a single bound. He is Super Sheller Clark! Clark has started the new year off pretty dang well. He found this 13 inch LIGHTNING WHELK and that middle 12 inch HORSE CONCH which is a KNOBLESS WONDER! Look how much smoother the shoulder and spire is compared to the one on the right (the one I found! )… no knobs! So cool, right? I’ll get them cleaned up and show you the other cool things we found boating to the out islands of Sanibel/Captiva this weekend. Oh. My. Gosh. What are you planning for the rest of the year? This will be hard to top! Curious if the horse conchs were alive. Hope not. The shell fairy is sprinkling you 2 with shell dust!! WOW!! What a fantastic way to start the new year. These are marvelous! I hope to someday be this lucky! Of course they were NOT alive! It’s not right to take live shells AND it’s against the law. Holy Moly! Where were you? Super!! I’m really happy for you! Happy new year Pam & Clark! Wonderful way to start this new year. I always enjoy your posts, thanks and keep ’em coming!! Unbelievable…where were you guys when you found them? We are so so jealous…ha…but very happy for you anyway! I think we would faint if we found one shell that size not to mention more!! Oh my Gosh!!! Well done Clark. clark you be the shell man!!! While I envy all these finds, I love your posts and enjoy living my shelling life vicariously through them! They make me smile. Clark is a rock star!!! And to think, we canceled our trip…Happy New Year!!! Happy New Year Pam and Clark…..
Oh my gosh! That is soooo cool!! Clark most definitely is a “super sheller”!! wowZA! Them are sure some BIG shells! They must be very old…I wonder how long it takes for a Whelk or Conch to get that big…anyone know? Congrats on the wondrous finds!!!! Off to a great start in 2012! That’s exactly what I asked Pam after I found them. Maybe Murex Ken can answer that one, and by the way we were shelling on Cayo Costa. Thanks for all your coments I was pretty excited when I found them. Holey conch!!! Those are huuuuge!!! What a great way to start 2012!! Congrats to SS Clark and SS Pam!! yahoo!! Wow, what a way to start the new year with those three beauties!! SHUT UP!!!!! Good for you Clark! No way, Pam and Clark wouldn’t think of taking live ones! They are always all about preserving and respecting wildlife..
Wow Clark…those are amazing! I loved shelling on Cayo Costa last spring. You truly are a Super Sheller!!! Yes, Dee, I’m sure it is a royal beaded sea star. I have it listed on my Beach Bling identification page but it doesn’t have those vibrant colors your did ….but it’s the same kind. WOW !!!! Congradulations Clark. Thank You for confirming that the Men on this blog can outshell the women shellers on here ….lol. We must stick together…lol. Happy New Year shell brother Clark. P.S. Yes I know I am gettin’ into trouble here…lol. I’m thinking about starting a reality tv show call “Shelling Wars”, or “Shelling Stars” I’ll make sure your on it Donnie. LOL. We can make it guys against the girls. We can also recruit Captain Brian and Murex Ken! WOWZA!!! I LOVE THE HORSE CONCHS AND YES I’M YELLING. LOL. Happy New Year indeed!!! So happy for you!! Shelling wars would be awesome! Lol.. Would be sooo fun! Great find! Wish I could be there too! Happy Hunting! Count me in on the shelling wars, one more excuse to get to Sanibel. That’s right…keep talkin’ smack shellin’ Sissta…lmao ! Can’t wait to see these shells all cleaned up. Concerning the above, gender-related comments, I prefer the team approach. Our shell collection is OUR shell collection. MurexAlice frequently finds shells that I just overlook or don’t see for whatever reason. I am delighted when MurexAlice finds shells that I don’t. Not because I haven’t found them, but because they still are added to OUR collection. I would like to think of myself as a lover, not a fighter, but MurexAlice usually laughs/groans when I say that. I’m not sure which part of that statement she finds more amusing. Concerning the “Knobless Wonder” horse conchs, some people consider the smooth forum of the horse conch a separate subspecies, Pleuroploca gigantea reevei Philippi, 1851, http://www.femorale.com.br/shellphotos/detail.asp?species=Pleuroploca+gigantea+reevei+Philippi%2C+1851 I question whether or not it deserves a separate subspecies category, but that discussion is above my pay grade. In any case, I remember collecting some of the knobless wonders on the bayside sandbars around Sanibel a long time ago, when I was 10-12 years old. We still have them in our shell collection. At that time I was collecting with my birth family. I remember my father and one or two other men discussing the “Knobless Wonders” and making some gender related comments, which I now can understand and remember with a smile. May this year bring the Rambos much shelling success. We were just on Sanibel for a couple of days. We visited friends on E. Gulf Drive and were SHOCKED by the results of a recent Red Tide. So many dead fish along the beach–yuck!! We looked it up on-line. The mayor wrote that sewage may be to blame. Wondering why the city authorities–local citizenry is not spearheading a clean up operation. What a way to start the New Year off is right. I am so looking forward to my visit soon. Happy shelling and as always can’t wait to see what to post, find or photograph next. Happy, Happy New Year!!! Awesome way to start 2012! Quick question, Pam — do shellers snorkel around Sanibel? Friends are looking for a beach vacation and we HIGHLY recommended Sanibel, but they love to snorkel. Is that an option in that area? I don’t believe we’ve ever seen snorkelers when we’ve visited. Happy shelling today, tomorrow and all year long! I have heard there is terrible red tide on the east end of the island near the lighthouse. I have not seen it for myself so I havent blogged about it. I try to stay away from it so I’ve been on the west side of the island near Blind Pass/Gulf Side City Park/Bowmans. Amazing! 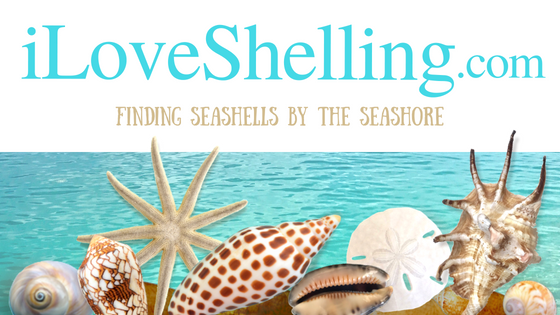 Thank you for sharing your shelling wonders! In planning our trip to Sanibel for May 2012, I have come across a lot of boat trips to Cayo Costa that advertise snorkeling. OMG. Those are sooooo awesome. I would probably faint if I found a shell that large! HAHA! Love the shelling TV series idea. If they can make one on women hunting wild boars -aka Lady Hoggers – I think men hunting shells would be awesome! How about Man vs. Gastropods! Clark? Say, Ken, any idea of the age of Clark’s huge shells? How old do you think they are? Just wondering. Seems to me they would have to be pretty aged. Thanks! Love it when you “chime in” with your vast store of knowledge! OMG!!!! SO awesome!!! Amazingly HUGE! I am so jealous :) Beautiful finds! You have to do the Shelling Wars…hahaha. That would be so much fun to watch :) Happy New Year! I thought they had banned Clark from shelling so all of us would have a fighting chance in 2012. Just kidding Clark, great find. Happy New Year to you and Pam and may we all find a junonia in 2012. Christine, your question is a good one. How long does it take for mollusks to reach a certain size or “maturity”? To my knowledge, that has not been well defined for most mollusks, but it has been studied for the Queen Conch (aka Strombus gigas) and for some of the clams & scallops, which are used for food. Although I cannot quote a specific study, I understand that it takes several years for most marine snails or gastropods to reach their “adult” size. However, the habitat and the availability of food have a great influence on this process. More food and fewer preditors usually translate into faster growth for mollusks. In contrast, when juvenile humans eat more they just get fat without much change in the rapidity of their maturation. Horse conchs can actually reach a length of 24 inches, if they have enough food and the optimal environment without preditors. As you probably know, the horse conch is the largest gastropod in the western hemisphere. As for Clarks shells, the Horse Conchs are most probably 2-3 years old, but the Lightning Whelk may be 3-5 years old. The Lightning Whelk is more impressive to me than the horse conchs, since a 13 inch Lightning Whelk is quite large for that species. On the other hand, the 12 inch horse conchs, although large for Sanibel/Cayo Costa standards, are still only half the maximum size that they can get. As you might expect, for most gastropods, the seafloor is a pretty hostile place with many preditors looking for a meal. Large rays, turtles, fish, other mollusks (such as octopuses), humans, etc. all will attack/eat gastropods. When a lightning whelk or a horse conch becomes large enough that it can no longer effectively hide in the sand below the ocean floor, it becomes prey for other animals. Usually it is only a matter of time before these larger mollusks/shells die from one cause or another. Hope this helps. BTW, 50 years ago the common name for the smooth form of the horse conch was “Bumpless Wonder”. They are most commonly found in the bay areas without much water turbulence. Perhaps some of you have found in the bay areas some of the Fighting conchs that are also relatively smooth, without the bumps/knobs. The more you learn about mollusks the more interesting our hobby becomes and the more questions you have. It is so much fun! Thank you so much, Ken. I had no idea. Seems to a novice like me that a shell that size would have been around at least a decade. And boy-oh-boy these babies led a good life! LOL I truly enjoy reading your knowledgeable entries along with Pam’s blog and pictures. And you’re correct…the more you learn does spawn more questions! I can’t wait to return to Sanibel to add to my collection! Be healthy and happy in the New Year! Clark, I’m so excitied for you!! Makes me wish I was there now. I met you and Pam back in late Sept on the beach on West Gulf dr. You had just found a lg. whelk and I had a found a shark eye. Pam was nice enough to take a picture of me with my find and post it.You told me to keep looking that there were some really lg whelk shells around and I found a 10 inch one the next day on a sand bar on West Gulf dr. I was so excitied. Yes, me too! Please post pics of them all cleaned up! Has anyone ever tried the muriatic acid trick to bring out a shell’s color? Wow, wow, wow….what amazing finds! I would also love to know how old these shells might be. How long does it take for a shell to grow that big? Oh my GOSH… I am SO jealous!! Can’t wait to get back to Sanibel and Captiva! WOW! Awesome shells – Clark and you are both off to a great start this year! Thanks MurexKen for your reply on the age of them – very informative! May 2012 be a very good shelling year for all of us! Wow! MK, I would have thought they were much older than that. I was thinking like Christine, that they would be 10 years old or even older. Thank for the info! I love that Whelk. I kind of agree with MurexKen team approach, what shells my husband finds is ours and the shells I find are mine. To be honest this last year he had been a better sheller. I’m lovin’ those winds you are getting now, lucky you. Thanks, Pam & Julie, too! I’ll pass this info along!!! i will be down there tomorrow. cant wait. coming from ft stewart. what kind of shell is the big white one?